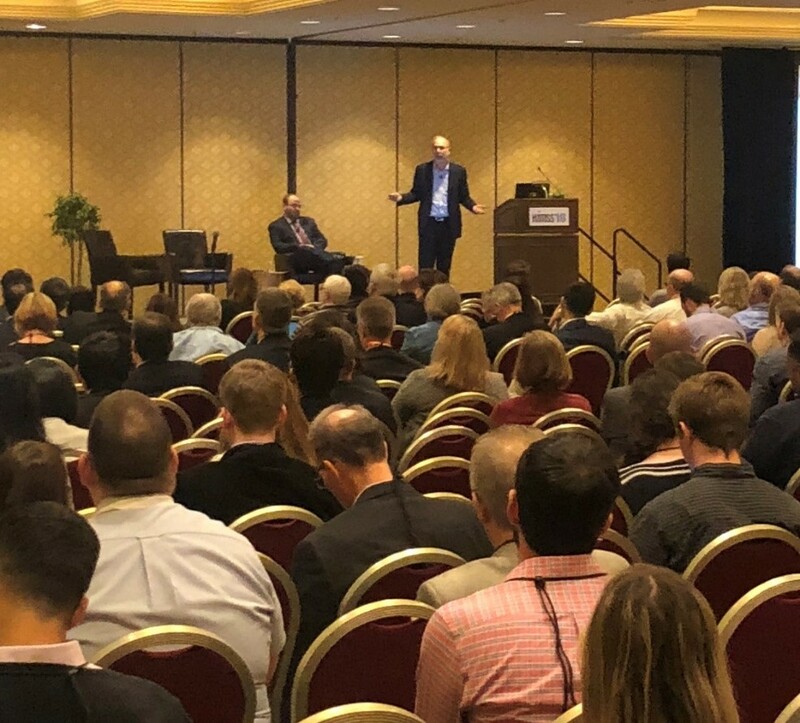 Las Vegas, NV – Wednesday, March 7, 2018 – Precision Medicine was a special focus at the 2018 HIMSS conference, with three sets of sessions on Precision Medicine. ActX CEO Andrew Ury, M.D. together with Wade Schulz, M.D., PhD, Senior Solutions Architect at Yale New Haven Health presented to a large HIMSS audience. The topic was Applying Genomic Intelligence and Decision Support at the Point of Care. Drs Ury and Schulz discussed the importance and practicality of integrating genomic decision support directly into the Electronic Health Record as well as the use of AI to select which patients to test. ActX’s live Epic integration at Yale New Haven Health was used as a case study. A leading integrated delivery system with five hospitals and a Physician management group comprising the largest health system in Connecticut. Yale New Haven Hospital (YNHH) is a non-profit, 1,541-bed tertiary academic medical center receiving national and international referrals. Yale New Haven Hospital includes Smilow Cancer Hospital, Yale New Haven Children's Hospital and Yale New Haven Psychiatric Hospital. Bridgeport Hospital has 383 licensed beds plus 42 beds licensed under Yale New Haven Children’s Hospital. Greenwich Hospital is a 206-bed regional hospital, serving Fairfield County, Connecticut and Westchester County, New York. All three hospitals are a major academic affiliate of Yale University School of Medicine. Laurence + Memorial Hospital is a 280 bed regional hospital located in the eastern part of CT, Westerly Hospital is a 60 bed hospital serving the western shoreline of RI, Northeast Medical Group (NEMG), is a physician group affiliated with YNHHS. NEMG includes community physicians in Fairfield and New Haven counties in Connecticut, as well as Westchester County, NY.